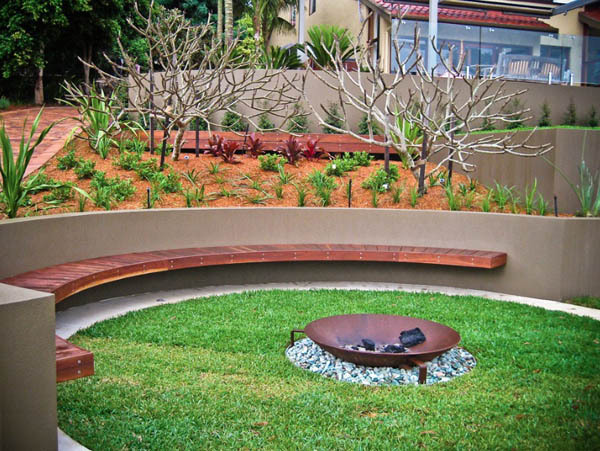 If kitchen is the heart of your house, then fire pit probably is the heart of your outdoor space. 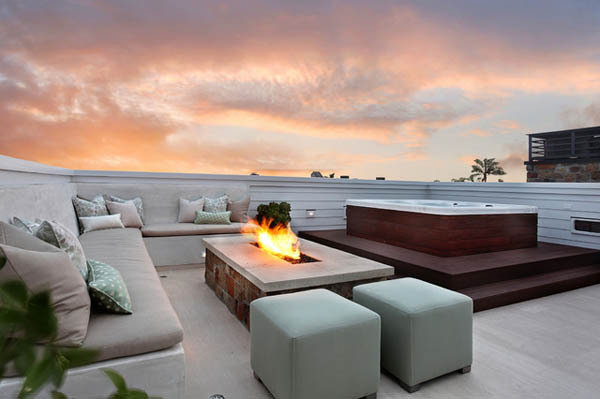 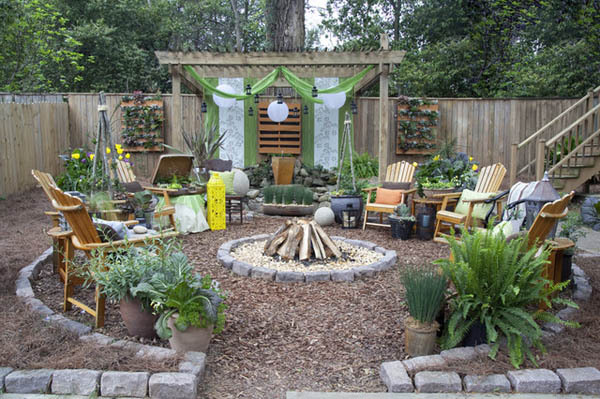 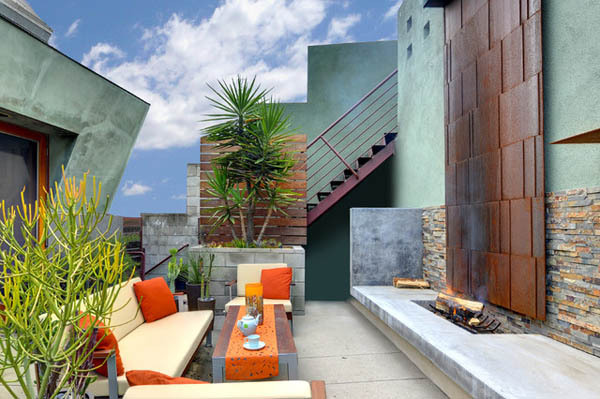 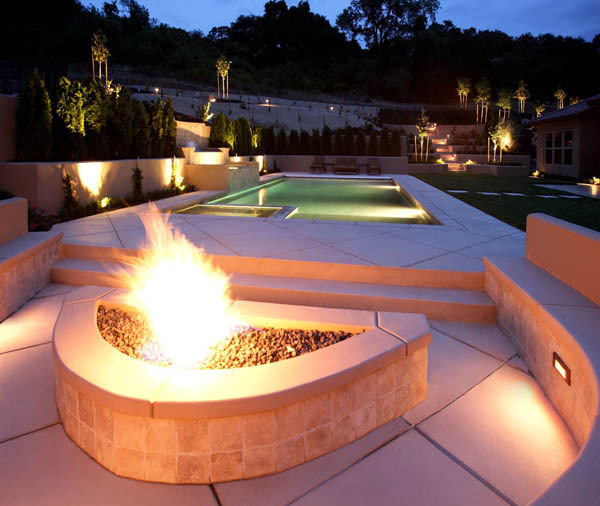 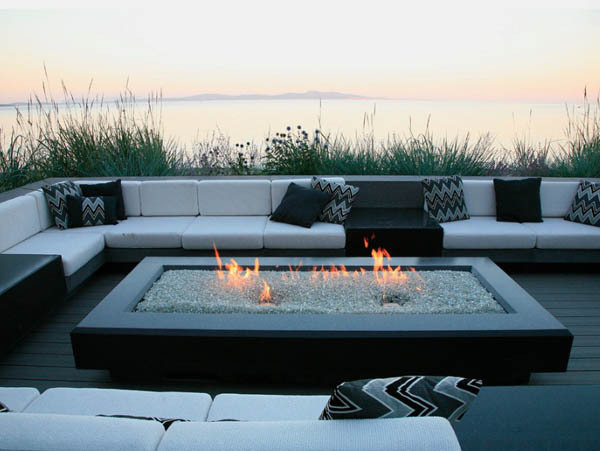 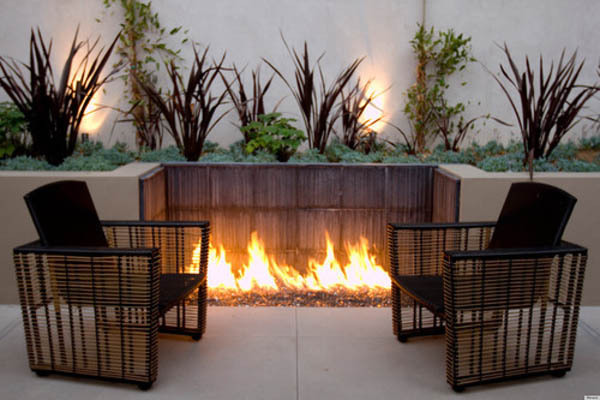 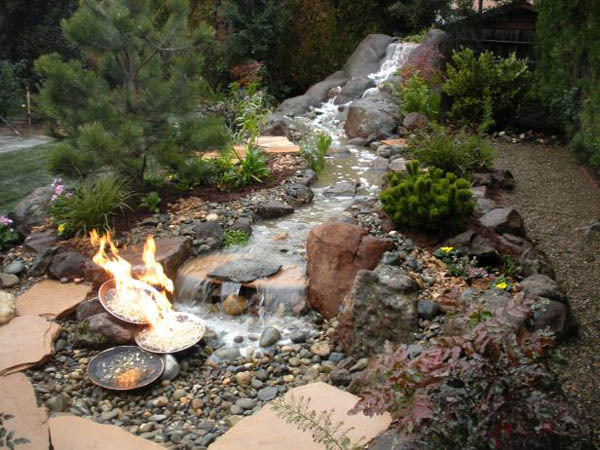 Adding the element of fire to your backyard not only adds warmth, but also create a social environment for your family and friends. 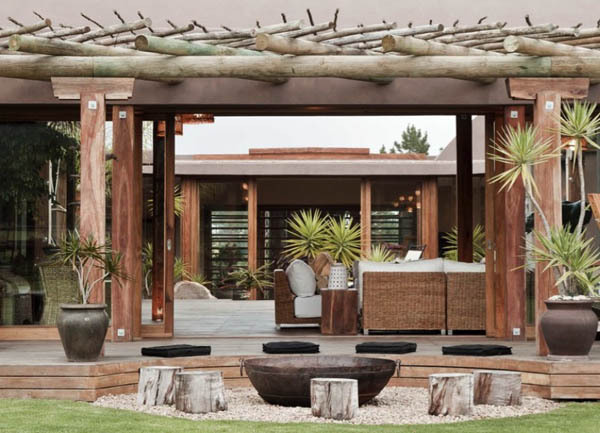 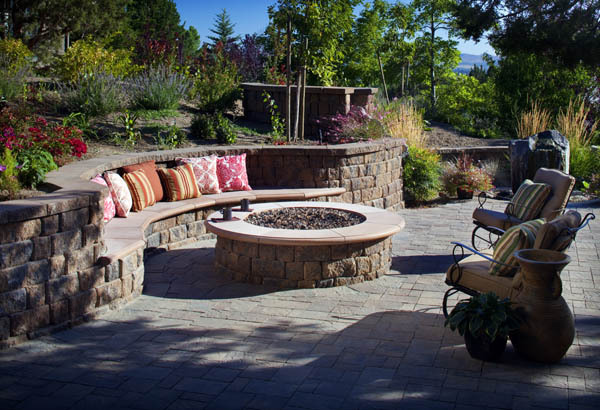 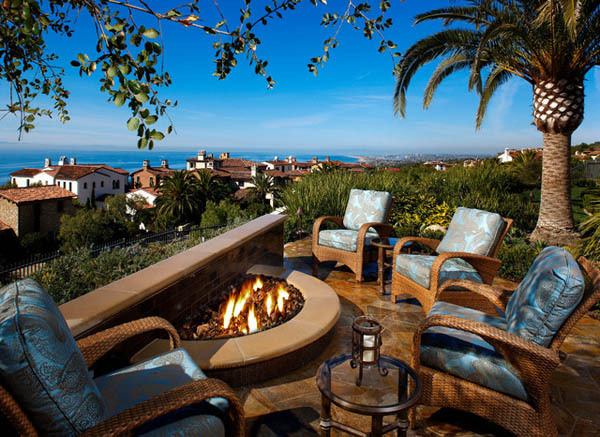 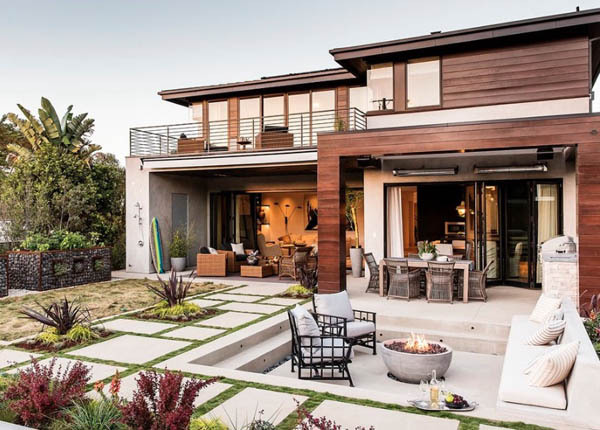 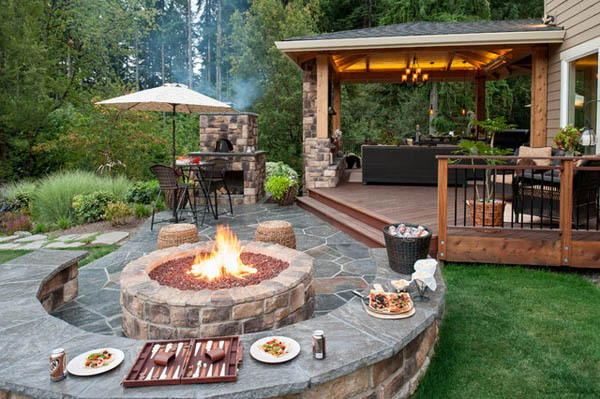 When choose a fire pit, there are many factors need to be considered, such as what fuel to use, where to place, what kind of material/style you want, and what is your budget. 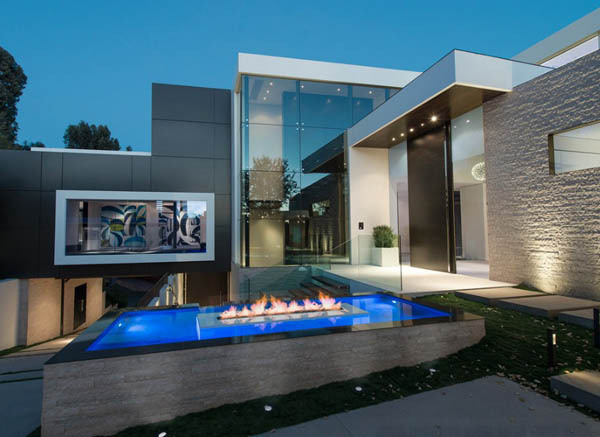 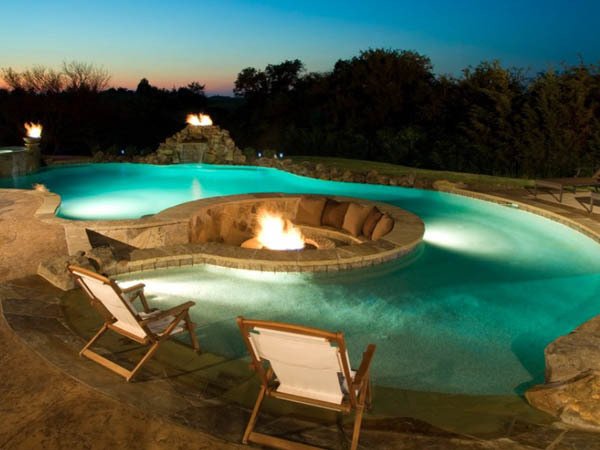 In our inspiration gallery below, there are many designs are custom and expensive, such as the one integrated with swimming pool. 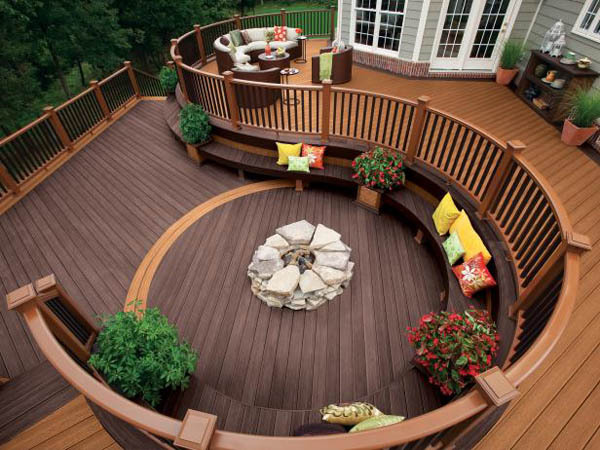 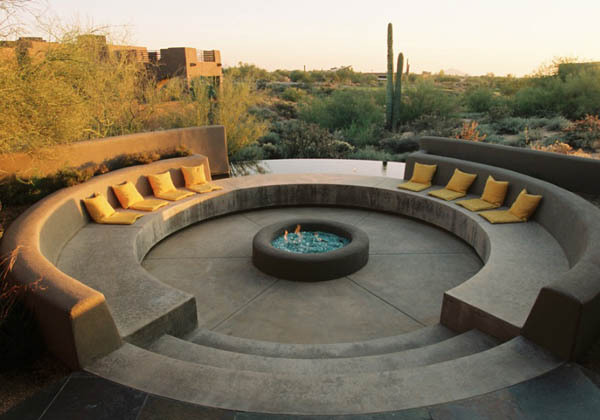 But building an outdoor fire pit doesn’t have to be. 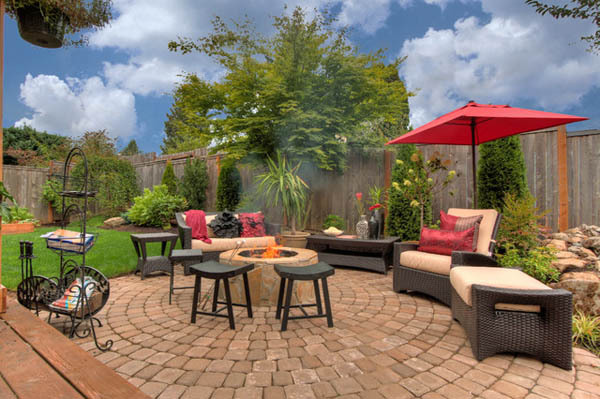 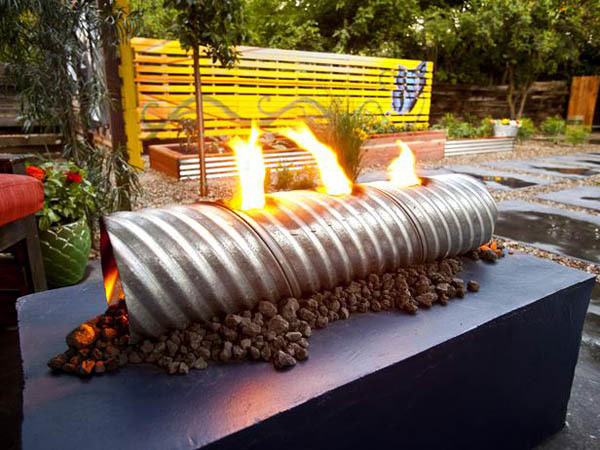 With a little creativity, you can easily build a creating a fire pit can add an inviting look to your backyard with a little money. 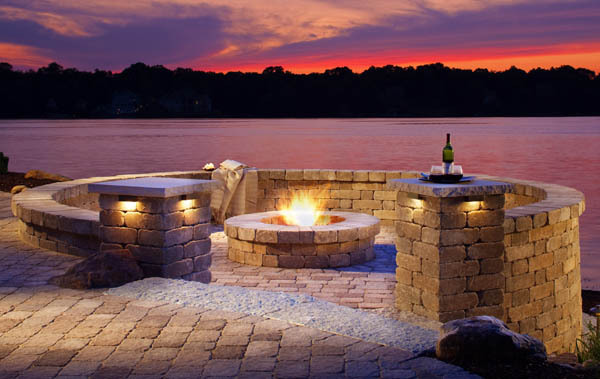 However, no matter what kind of fire pit you want, remember safety is always most important things to consider. 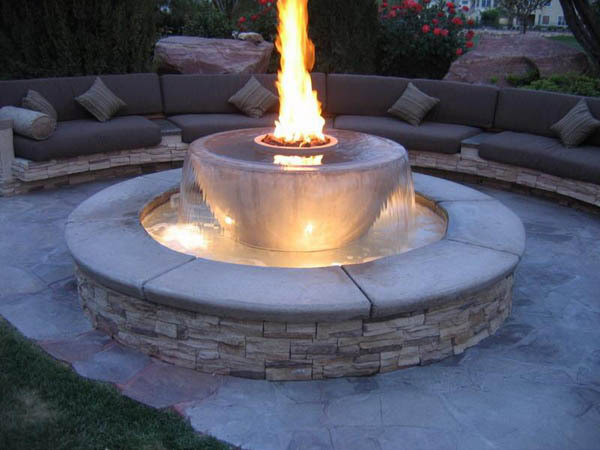 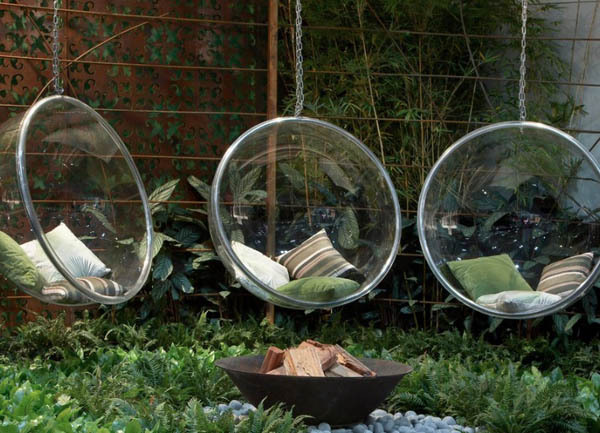 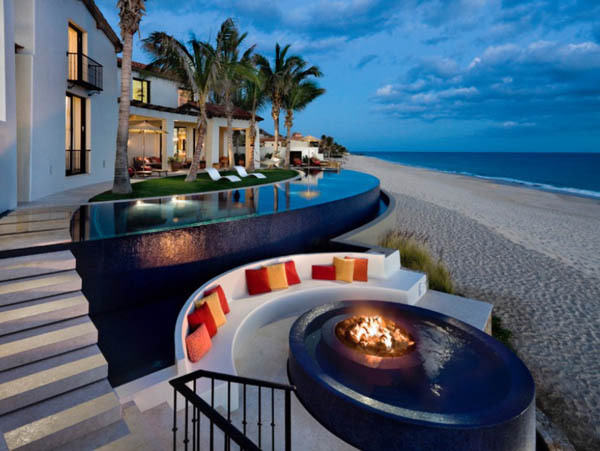 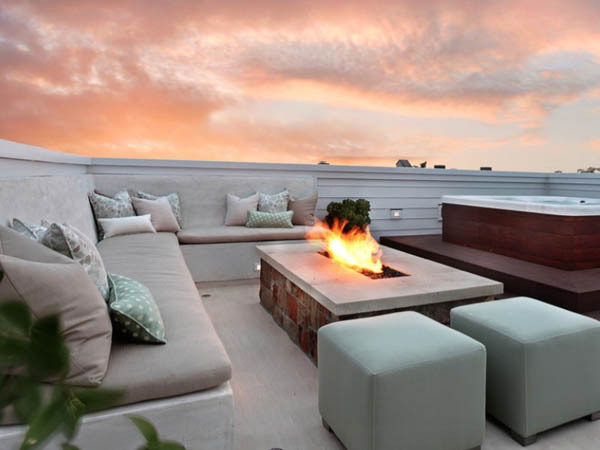 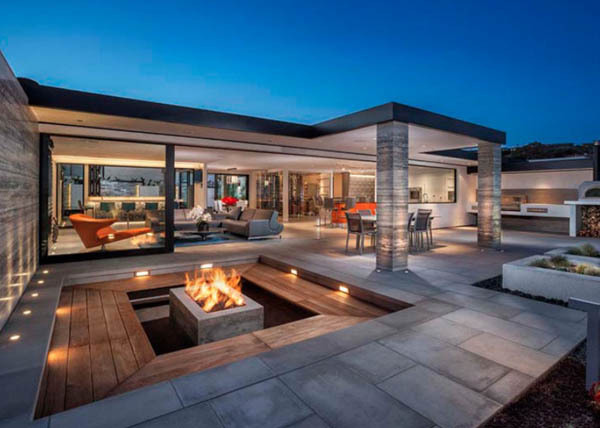 Let me just start off by saying that all of these fire pit ideas are amazing. 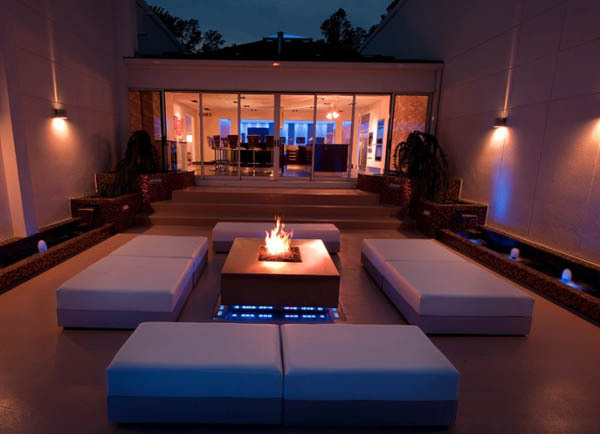 I love how much life the fireplace gives the settings, and how the fire lights up the set ups so beautifully. 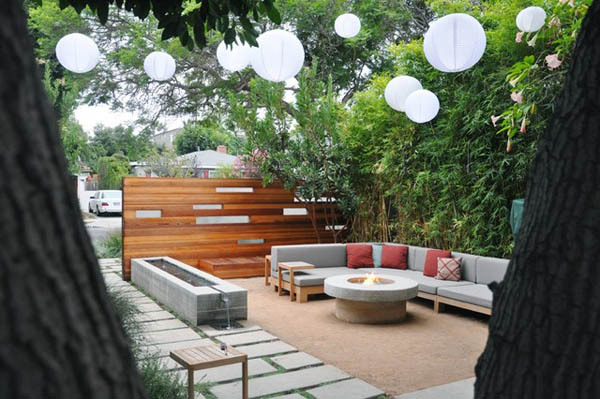 When I install a fireplace to my own yard, I will make sure to come back and use my favorite idea. 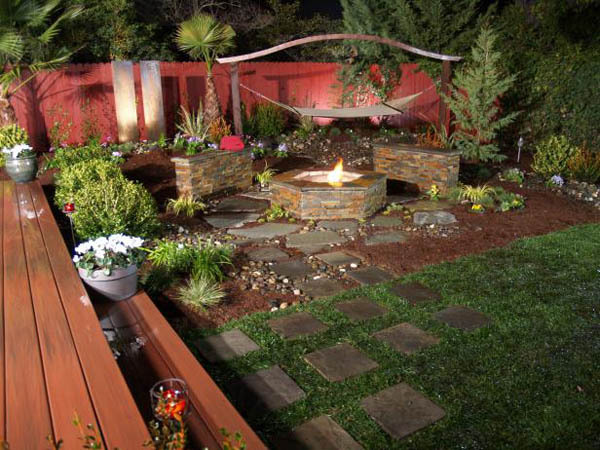 Thanks for the great ideas, and thanks for the great pictures!